A mute child. A harrowing journey. A race for answers. On the fantastical, rapidly evolving world of Ona(ji), Verloc Nim and his companions are heading to the release point of the biotech experiment Aama, a project that now appears to be frighteningly out of control. Faced with an increasingly desperate fight for survival in an ever-changing landscape, the expedition teeters on the brink of collapse. 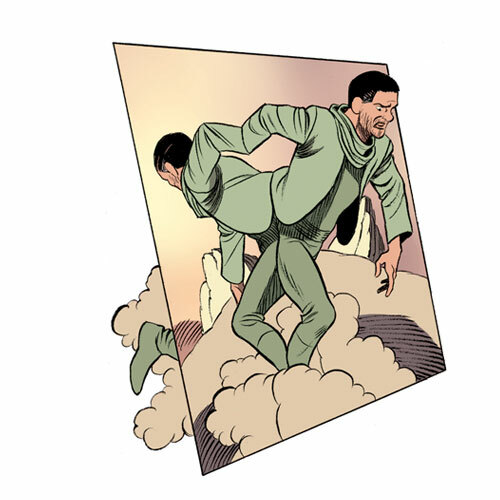 The Desert of Mirrors, the third volume of Frederik Peeters' award-winning series, draws us deeper into a complex and unsettling future where creation and loss go hand in hand. 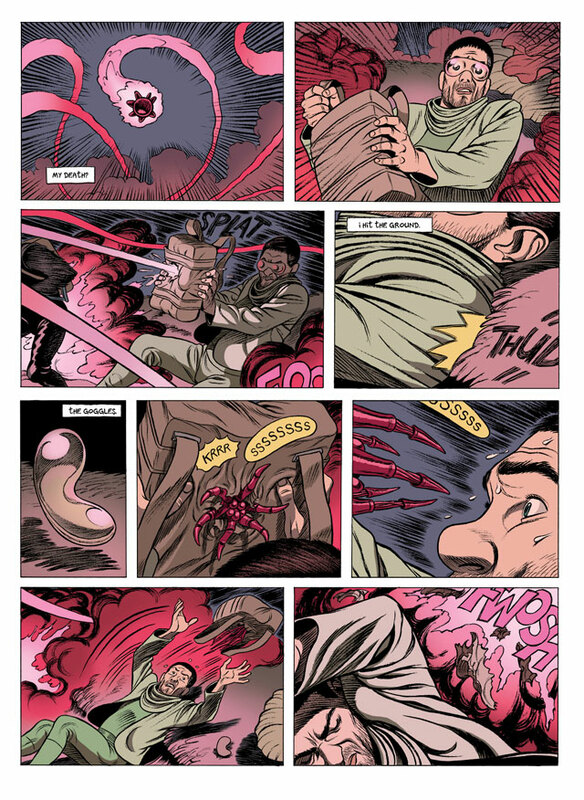 As moments of self-reflection and revelation bleed into a vivid reality bordering on madness, the search for Aama continues to raise questions – about the new life around them, about the Muy-Tang Corporation… and about Verloc's own family. 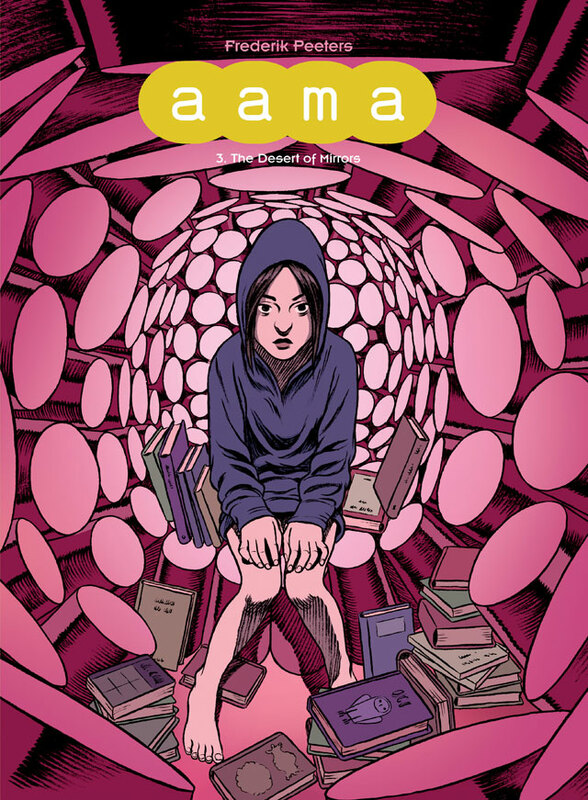 "Aama continues to be one of the best series out there… Peeters' art is seductive and exciting as ever, vibrantly coloured with a wonderful use of flow between different colour centres." 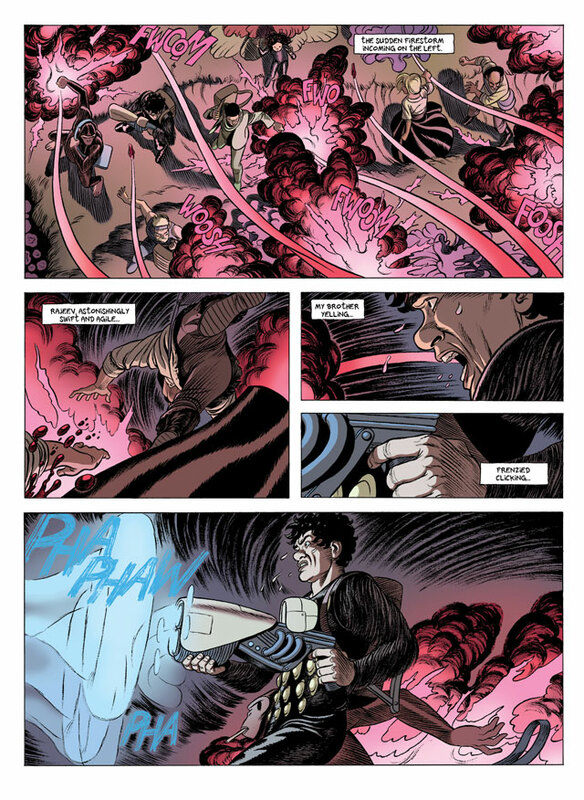 "The illustrations are rich and detailed, and I got totally sucked into the story, both of Verloc's past and his mysterious present."